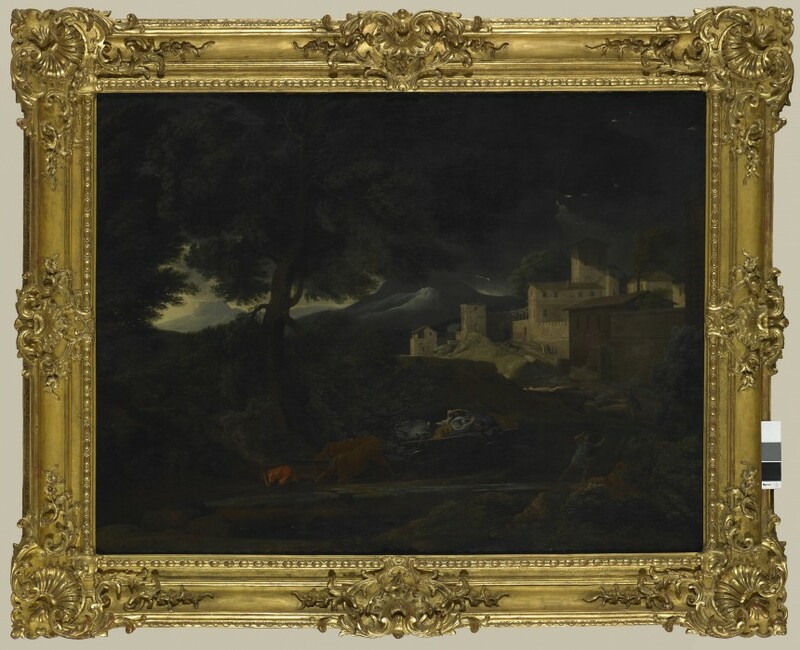 Painted around 1651 with its pendant (Landscape in Calm Weather, Los Angeles, Getty Museum) for the art connoisseur Pointel, one of Nicolas Poussin’s major private backers, this work gave the artist the chance to display the extent of his skill and knowledge in landscape painting to Parisian society. It was in fact one of the first of his landscapes to be seen in Paris, at around the same time as the famous Stormy Landscape with Pyramus and Thisbe (Frankfurt, Städelsches Kunstinstitut). The awareness that human ideas and passions had parallels in nature had firmly taken root in the 17th century psyche and this is what Poussin wished to represent. As he himself wrote about Stormy Landscape with Pyramus and Thisbe, ‘All the figures we see play their part in relation to the weather’. Here we can see the fear of the man protecting himself from the rain, the terror of the figure cowering in a corner, the horrified shock of the young man on the right as he retreats from the lightning. The whole gamut of fear is expressed and put to the viewer as a subject for reflexion, just as it would be in a history painting.